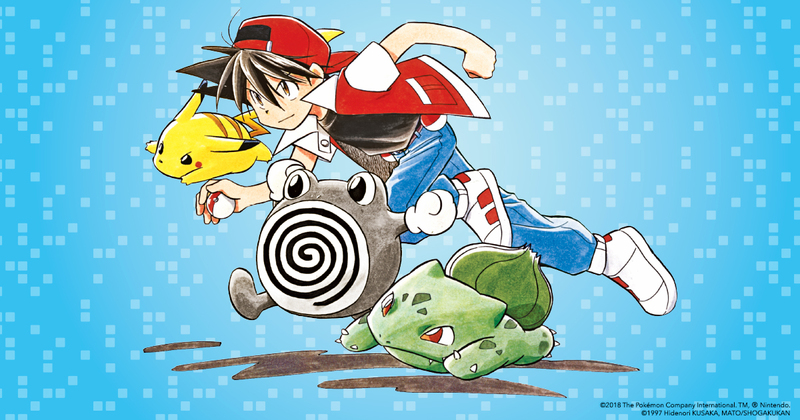 VIZ | Blog / Pokémon Digital Manga Release Guide! Pokémon Digital Manga Release Guide! Find out when your favorite story arc will be available. 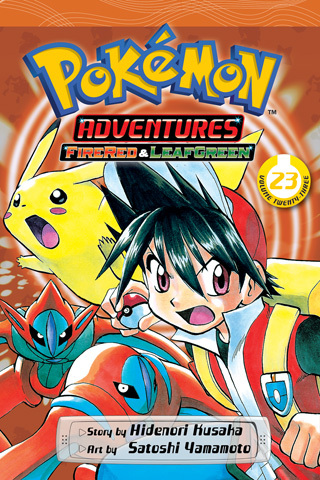 POKÉMON ADVENTURES is the most popular and longest running Pokémon comic series to date. And now it's returning in digital format! 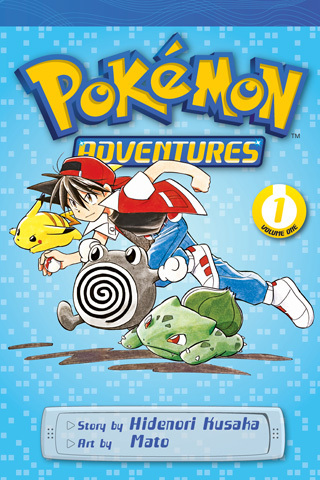 In the coming months, VIZ will be releasing Pokémon Adventures story arcs on Kindle, ComiXology, iBooks, Nook, GooglePlay and VIZ platforms. See below for our digital release schedule by story arc. Start the adventures in the land of Kanto with Red and Blue as they take on the Pokémon League and stop the nefarious Team Rocket in their tracks! 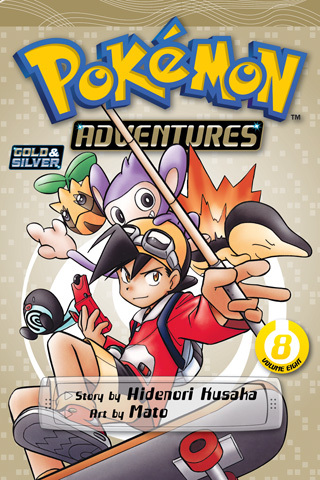 In the region of Johto, Pokémon Trainer Gold travels the land chasing the thief Silver. Later on, Gold must try to stop the newly reformed Team Rocket and their latest evil schemes. As things settle down in Kanto and Johto, conﬂict arises in the land of Hoenn. 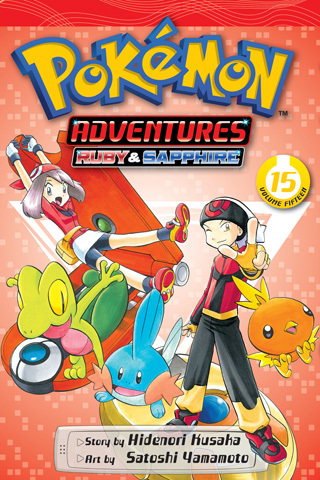 Trainers Ruby and Sapphire must face challenging Gym Leaders, competitive Pokémon Contests, the radical Team Magma and Team Aqua and their feelings for each other. Many familiar friends and foes return to the land of Kanto. 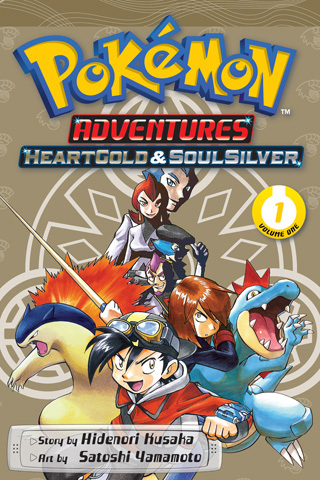 Red and Blue team up to save Professor Oak who has been kidnapped by Team Rocket while Silver, with the help of Trainer Yellow, ﬁnds out the shocking truth about who his father really is. We return back to the land of Hoenn where Professor Oak sends Pokémon Trainer Emerald to capture the legendary Jirachi within seven days, but things become more complicated when Emerald ﬁnds that the masked Guile Hideout has his own plans to use Jirachi for evil purposes. 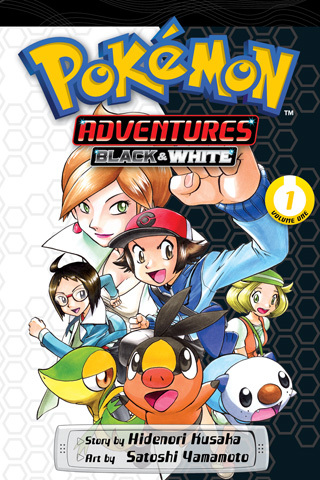 Adventure begins in the land of Sinnoh where unlikely companions journey together. 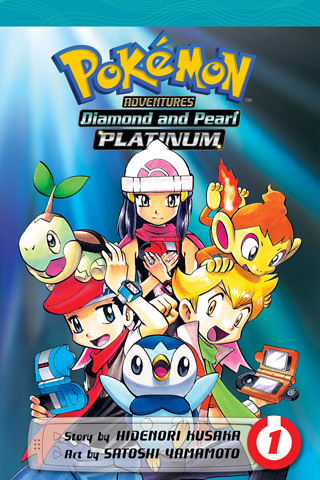 Lady Platinum mistakes Diamond and Pearl, a comedy duo of trainers, for her bodyguards while Diamond and Pearl mistake Lady Platinum as their tour guide from a trip they won from a comedy contest. As the trio of trainers travel through Sinnoh, they stumble into new legendary Pokémon and the ambitious Team Galactic. 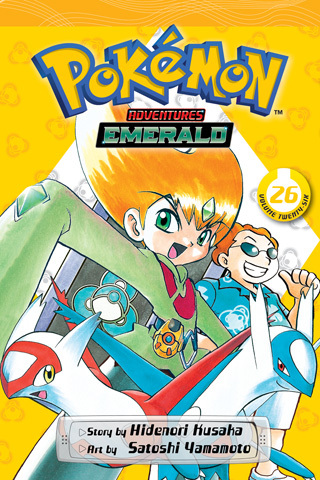 Three years after the events of Pokémon Adventures: Emerald, Team Rocket has risen once again to bring back their long-lost leader. It is then that Silver takes it upon himself to stop them. 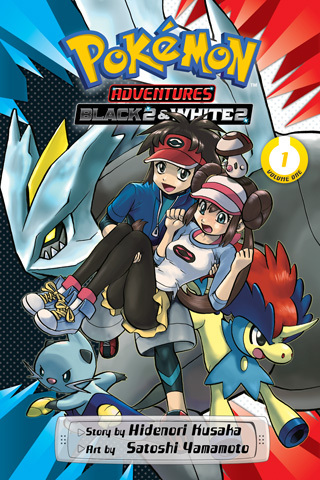 Black, a trainer set on being the Champion of the Pokémon League, is joined by White, a trainer set on raising the best Pokémon actor, on a journey through the land of Unova. It is on their journey that they encounter Team Plasma, a group with ambitions to free all Pokémon from the shackles of their trainers. Two years have passed since Team Plasma was defeated and Trainer Black was sucked into the Light Stone along with Legendary Pokémon Reshiram... Now Team Plasma is back to its wicked ways, controlling other people's Pokémon and even wild Pokémon with technology. 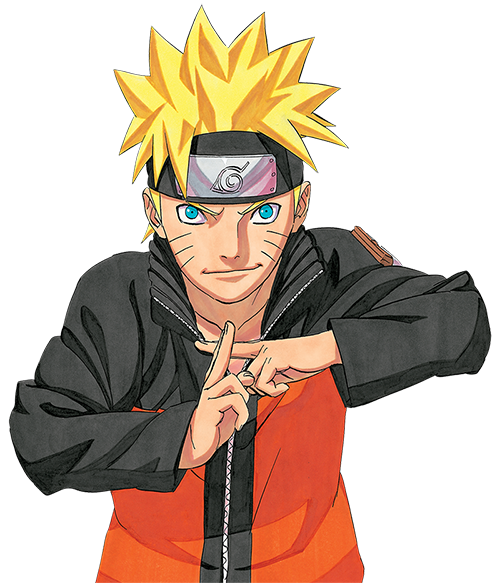 Luckily, a new young hero and Looker of the International Police are on their trail! And coming in JANUARY 2019 - Pokémon movie tie-in manga!